The next Calle-Carpinteria model is going to be with a Tournavoz. 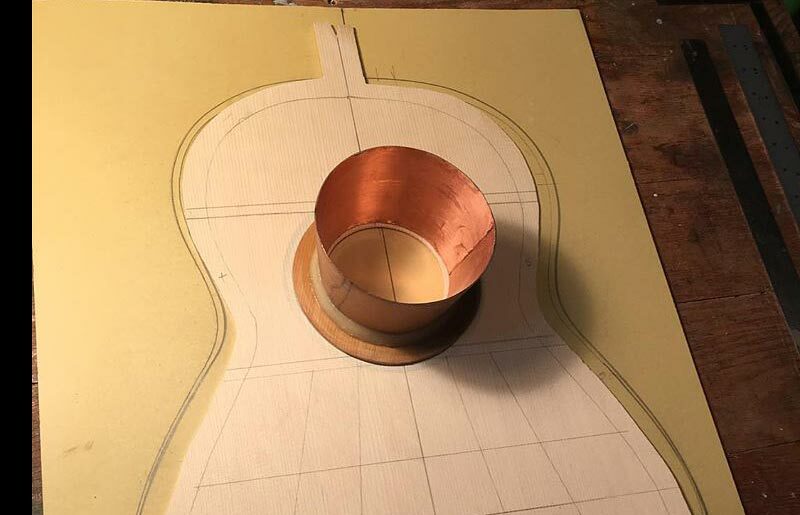 It’s a tapered cylinder of thin copper sheet that was used in many 19th century guitars. The tournavoz does a few things, it changes the main box resonance of the guitar, it becomes lower. Some players say they feel the basses become more integrated into the treble side of the guitar giving a lush even sound. I’m going to build it as carefully as I can and we’ll see how it sounds. I’m sure it will sound good, but it’s more a matter of the flavor of the sound. Check back I’ll be posting up dates. 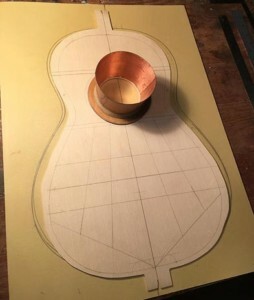 I have several instruments in progress now, I’ll be talking about most of them here.